Huatulco has been one of my favorite beach destinations since my first visit in 1997. Since then, several of the large resorts have changed name and ownership, there are new paved roads, hotels, shops, and tourist amenities, but the area maintains a laid-back feel, the beaches are as clean and beautiful as before, and the natural areas surrounding the resort development are just as lush and verdant as ever. Since my first visit to Huatulco I have returned many times, staying in budget hotels or enjoying the modern amenities of an all-inclusive resort, and most recently enjoying the convenience of a vacation rental. I’ve always enjoyed the lovely beaches and striking landscape, but in recent years my appreciation for Huatulco has grown even deeper, particularly because of the efforts that are being made to protect the beautiful natural areas that surround it. Located on the Pacific coast of the Mexican state of Oaxaca, Las Bahías de Huatulco (the Bays of Huatulco) is made up of nine protected bays that stretch over 22 miles of rugged coastline with 36 unspoiled beaches, as well as a national park. Established in the mid-1980s, Huatulco was the fifth resort development to be initiated by FONATUR (Mexico’s National Trust for Tourism Development) after Cancun, Ixtapa, Loreto and Los Cabos. Huatulco was designed from the outset to be ecologically sustainable, and the community has maintained its commitment to protecting the environment. As one of FONATUR’s “Integrally Planned Centers” there is a plan for the long-term development of the area that ensures proper management of natural resources, so that development and economic growth do not adversely impact the marine and terrestrial ecosystems. The Huatulco resort development is surrounded by the Sierra Madre del Sur mountain range, where you can find coffee plantations set amid semitropical forests. In 1998, the Huatulco National Park was founded, protecting 5516 hectares of marine territory and 6375 hectares of land which are officially set aside to be left undeveloped. In 2006 this area was listed as a UNESCO Biosphere Reserve. Over 700 species of animals make their home in the park, as well as a wide variety of fish and shellfish. 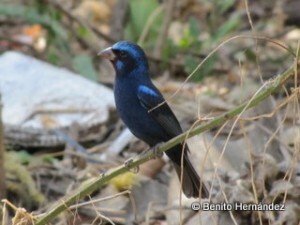 The park is open for scuba diving, bird-watching and hiking. Huatulco is the only destination in the Americas to have received EarthCheck Gold certification, evidence of the commitment of the Mexican government, business owners, and residents to protecting the natural environment. EarthCheck (previously Green Globe) is an independent organization which offers environmental benchmarking for the hotel and tourism industry. In order to achieve certification, a property or community must show evidence of superior levels of practice in several different areas, including water and waste management, renewable energy, biodiversity, and conservation of natural species. 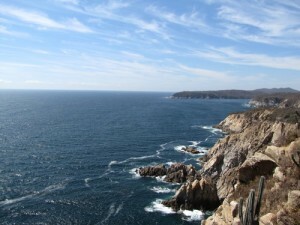 Some of the measures which have been taken to reduce the environmental impact of the tourist development in Huatulco include a water management infrastructure including 17 km of storm protection channels, 23 re-lift stations for sewage treatment and management, and harvesting structures which collect storm water runoff. A recycling center has been built, and a training program for hotel staff, area residents, and local schoolchildren has been instituted. My most recent visit to Huatulco was this past January. I went with my family and the family of a longtime friend who was visiting from Canada. Since we both have small children, we decided the most comfortable accommodation option would be a vacation rental. 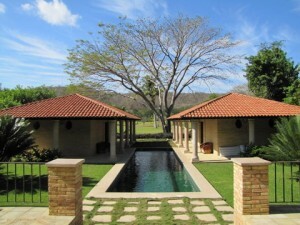 My internet research led me to Villa Valencia, a villa with two separate guest houses and a private pool, located by the Tangolunda golf course, and a short drive to the beach. We enjoyed shopping in the local market and preparing food (and cocktails!) in the well-equipped kitchen. The best part about staying in a vacation rental was being free to have our meals and activities at whatever time was convenient for us, with no worries that we or our children might bother other guests. Since my husband is an avid birder he would rise at dawn and venture out to roam the area around the golf course with his binoculars, while the rest of us slept in or got up for an early morning dip in the pool before breakfast and then heading out to the beach. We enjoyed visiting different beaches each day, particularly La Entrega and El Arrocito, beaches which have gentle waves and were perfect for our little ones to play in the sand by the water with no fear that a large wave might come and knock them over. We would have lunch at a beachside palapa, and in the late afternoon head back to our villa to rest and enjoy quiet evenings. On the final day of our stay, the men took the children to the beach and my friend and I enjoyed a ladies’ day of pedicures and shopping in La Crucecita. A most satisfying vacation! 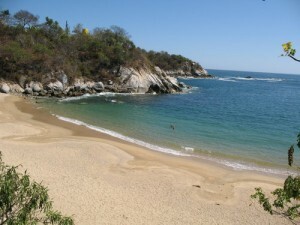 Huatulco is a wonderful beach destination, offering a variety of conditions within its various bays. Parents of small children will be pleased with the beaches that have gentle waves and safe swimming and snorkeling conditions, others looking for more excitement may prefer beaches with stronger waves. Nature lovers will be thrilled with the diversity of birds, animals and plants in the area. But one thing that should please all visitors to Huatulco is knowing that they’ve chosen a destination that’s committed to being environmentally sustainable. Marca País – Imagen de México, is a joint public and private sector initiative designed to help promote Mexico as a global business partner and an unrivaled tourist destination. This program is designed to shine a light on the Mexico that its people experience every day. Disclosure: I am being compensated for my work in creating content as a Contributor for the México Today Program. All stories, opinions and passion for all things México shared here are completely my own.